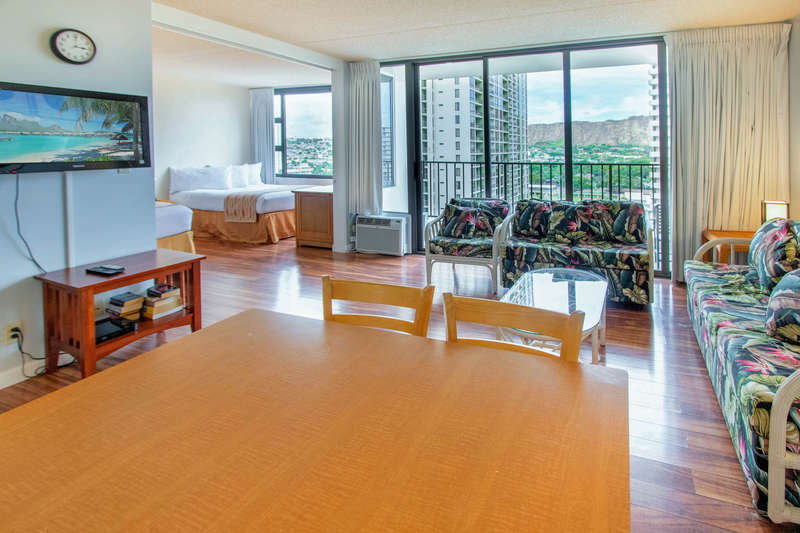 Enjoy paradise in this Mountain View Waikiki Banyan condo suite. 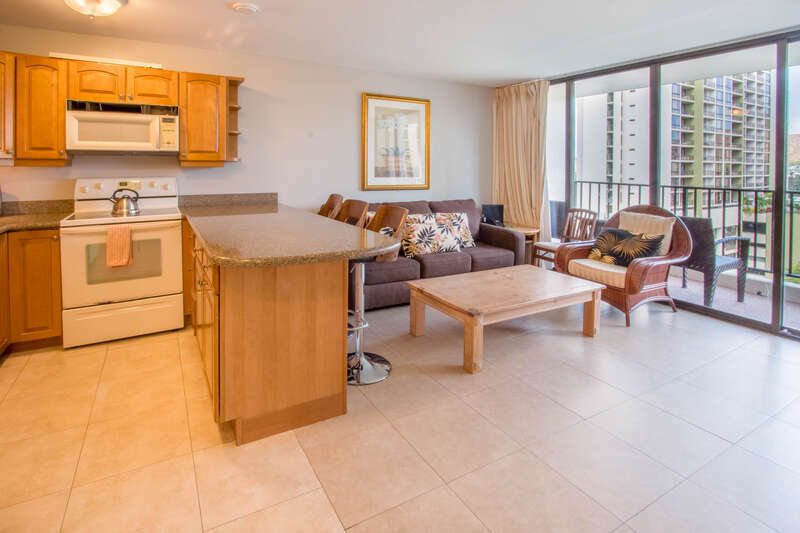 This affordable Waikiki Banyan condo is only one block from world famous Waikiki beach. Condo suite is located on the 8th floor and has a partial ocean view. 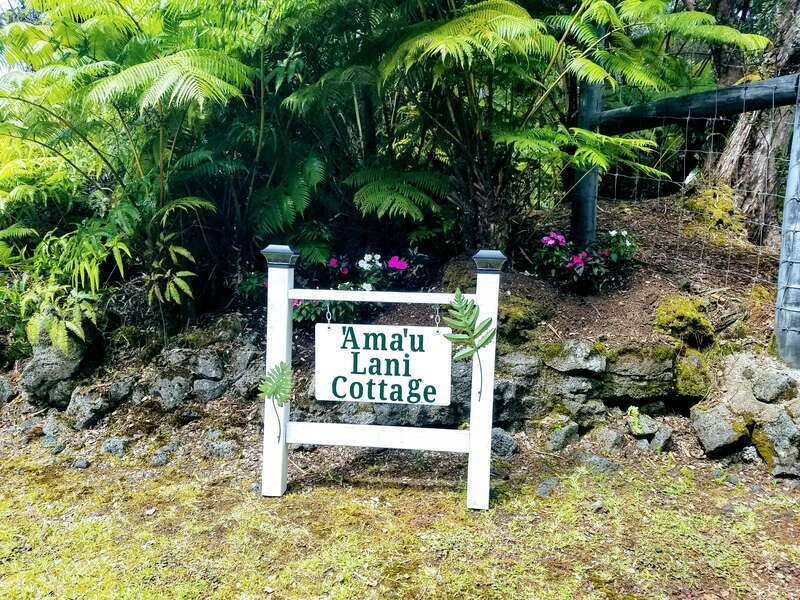 The fully-stocked kitchen includes a refrigerator, range, microwave, rice maker, coffee maker, and other kitchen wares. The kitchen island provides additional counter space and has seating for three people. The unit is carpeted throughout all living areas. Convenient sleeping arrangements one queen-sized bed and one full-sized bed in the bedroom and a sofa sleeper in the living room. The bathroom has two entrances giving bedroom occupants greater privacy. In addition, the bathroom has a door between the vanity and the toilet allowing more one person to use the bathroom at a time. Plus, there is a hand shower for your comfort.